By Alexis Leon, Comdex Computer Publishing, 1996. Occasionally computer technology makes a dramatic and significant break with the past and makes a quantum leap. The relational model of database management, with its simple tabular data structures and powerful data manipulation operations is such a revolution. It all started with Dr. E.F.Codd, then of IBM Research in 1969, when he presented the historical paper ‘A relational Model of data for large shared data banks’ laid the basic principles of the RDBMS. The relational model has helped focus computer science research on the problems of data management and relational database management system products have resulted in tremendous improvements in accessing data and developing applications. Although Object oriented database management systems have started to appear, it is the common consensus of the Information Technology pundits that the leading RDBM systems will successfully incorporate object database ideas as an extension of the basic relational model and will survive and thrive for many years to come. In 1979, Relational Software Inc. (which later became Oracle Corporation), a small Silicon Valley company introduced Oracle, the first commercial Relational database management system, incorporating the SQL data access language. Today, Oracle Corporation is the largest supplier of database management and associated products in the world. 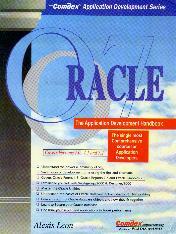 Oracle 5, released in 1985, was the first client/server database system. Now the latest version of Oracle represents the industry’s most advanced product implementing both the extended relational model and the client/server architecture. Oracle7.x includes a full-featured ANSI/ISO standard SQL. The Oracle7.x server can be active part of applications, enforcing data integrity and business rules through ‘declarative means’, that is without programming, as well as through the industry’s most complete and robust set of programming features, such as procedures and triggers. Oracle7.x also includes industrial-strength, distributed database facilities, enabling enterprise-wide access to data, no matter where it is stored or on what kind of platforms. Oracle7.x also maximizes the performance and reliability of on-line transaction processing application through a range of architectural features such as row level locking, on-line back-up and recovery, and support for a wide variety of platforms. This book is written with an aim to give you an in-depth understanding of Oracle 7.x relational database management system and its use in a client-server environment, without burdening you with the complex details you will never use or need. You will quickly learn to design, build and deploy applications using Oracle7.x and other development tools which makes application development in Oracle faster and efficient. The Oracle’s SQL language and extensive facilities for enforcing data integrity is given a through treatment. This book also provides an excellent overview of database administration, database security, backup and recovery, performance tuning, networking and distributed database management. This book explains the relational database concepts from the very beginning and takes you step by step through the application development-using Oracle 7.x. It also introduces you to the latest tools available which will make the application development easy. It also addresses the advanced topics like performance tuning, database administration, etc. So this book is for the end user and the database administrator, for the novice and the experts.